British and American gentlemen of the middle and late eighteenth century didn’t wear beards. Revolutionary War reenacting groups have to decide whether their adult male members must shave off their beards, mustaches, or [most distinguished of all] sideburns for events to make the most accurate visual impression. Sometimes people try to argue that merely because we don’t see beards in portraits doesn’t mean men never wore them. Beards may have been rare but still common enough not to provoke remarks. 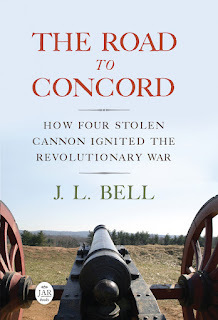 Back in 2012 I wrote a couple of postings about the Boston shoemaker William Scott which refute that argument. For religious reasons he grew his beard long. And his appearance was so unusual he scared children on the street. European travelers to the Levant commonly adopted local costumes, including caftans and turbans, but upon returning to Europe, they shaved their beards and shed their oriental dress. (Gullström et al., 187.) Not so Liotard, who had taken a liking to the loose Turkish garments and continued to wear them throughout the rest of his life. In 1743, when the artist arrived in Vienna, he caused an immediate sensation with his oriental robes, large fur hat, and the long beard he had grown according to local custom while in Moldova at the court of prince Constantin Mavrocordato. He attracted the attention of Empress Maria-Theresa and soon received prestigious commissions at the imperial court. In 1748, Liotard traveled on to Paris where he exhibited his beard and costume at the opera in order to stimulate interest in his person, and thus to enhance his business as a portraitist. In fact, some of Liotard’s critics claimed that his success depended entirely on his sartorial performance rather than on his talents as a painter. . . . 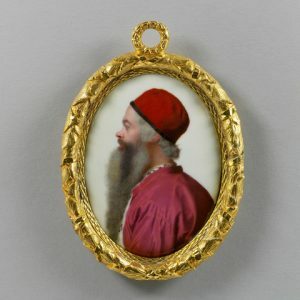 The Lewis Walpole Library owns the miniature portrait shown above, which is inscribed “Liotard / by Himself / 1753.” Lady Maria Churchill gave it to Horace Walpole, her older half-brother. And I’m sure we can agree that that’s an impressive beard—especially since no other man in Britain was wearing anything like it.